The last time I wrote to you, I announced the completion of our Archive Access project. If you recall, Archive Access provides online index book and historical-document-search capability. I am pleased that this service continues to receive high marks from our users … and exceeds their expectations, still. Now, I’m proud and very excited to share even better news with you. To learn more, please read the following news release that we will distribute to the media, soon. Beginning Monday, September 18, users of the Douglas County Assessor/Register of Deeds office/website will see a new addition to the long list of services that the office provides—an effective, efficient, user-friendly, web-based land-records-management system called “Landmark”—a product of the Pioneer Technology Group. 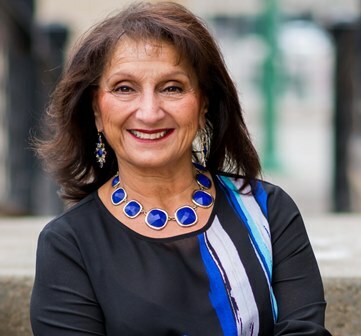 Diane Battiato, the Assessor/Register of Deeds, said expanding the office’s online presence has been one of her main goals since she took office in 2005. In 2009, she initiated the first step to reach her goal by becoming the first Register of Deeds office in Nebraska to offer electronic recording, known as e-recording. Then last year, a property-records search program called “Archive Access” was launched.The program made thousands upon thousands of historical property-records images, from as far back as 1854, available to users via the web. Landmark is the third step in her plan to have the Register of Deeds side of the office completely online by the end of 2018. Needless to say, this is a defining moment for us. It enables us to continue to improve the high-level online services our office provides to you. And in the bigger picture, it affirms an essential part of our strategic vision—to embrace technology and use it wisely and efficiently for the benefit of our office, and our customers.